Strictly for posting about dodgy non-Seiko (or their derivatives) contemporary (meaning 1980's and 1990's) quartz chronographs. I haven't a clue. My 10 year old grandson might know. All the little buttons push in and out. The stem does also. Sorry the pictures are no better. This was among my Mother's things when she passed several years ago. 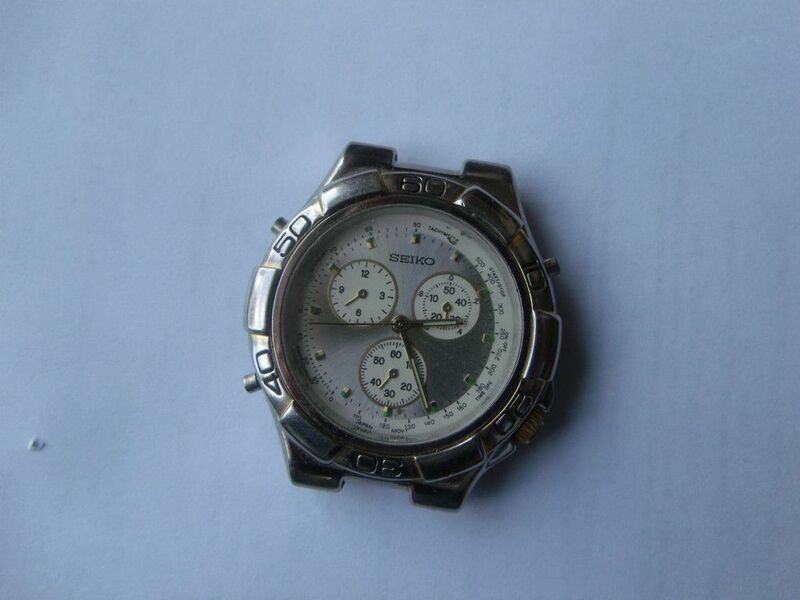 Sub-dial markings; crown and pusher layout is pure Citizen Cal. 35xx (no date nor alarm, so which ?). 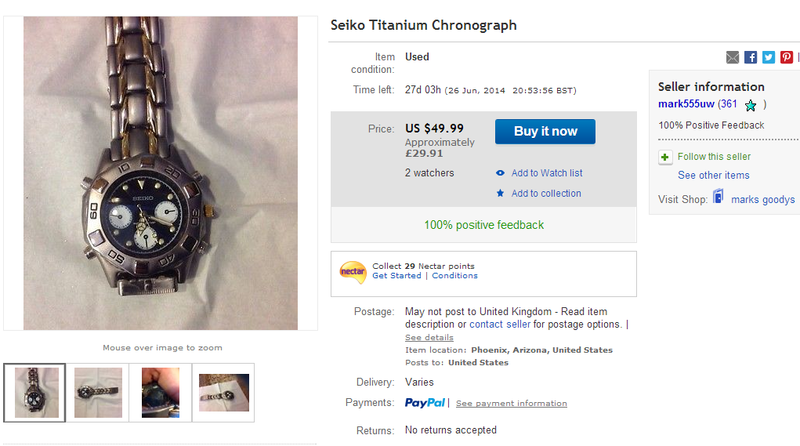 But get the wonky SEIKO logo ! 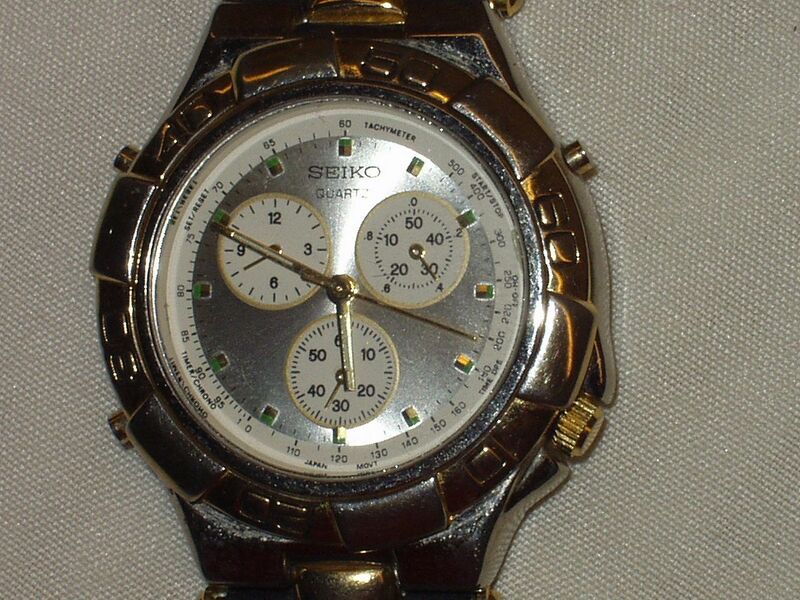 I suspect this Seiko-logo'd franken fake may have been based on another re-branded Cal. 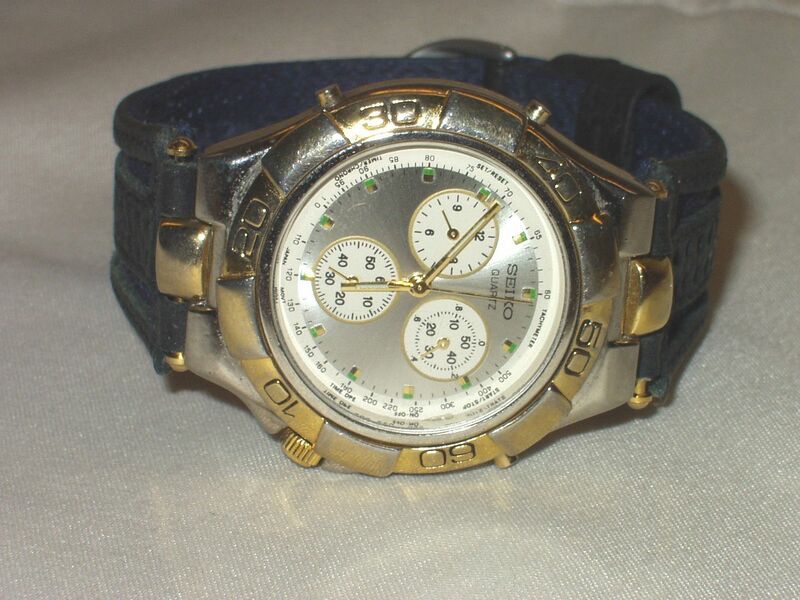 35xx chrono (rather than a Citizen per se). Runs good and keeps perfect time. Very clean . New band installed. New battery installed. Silver tone with gold trim. FREE SHIPPING! 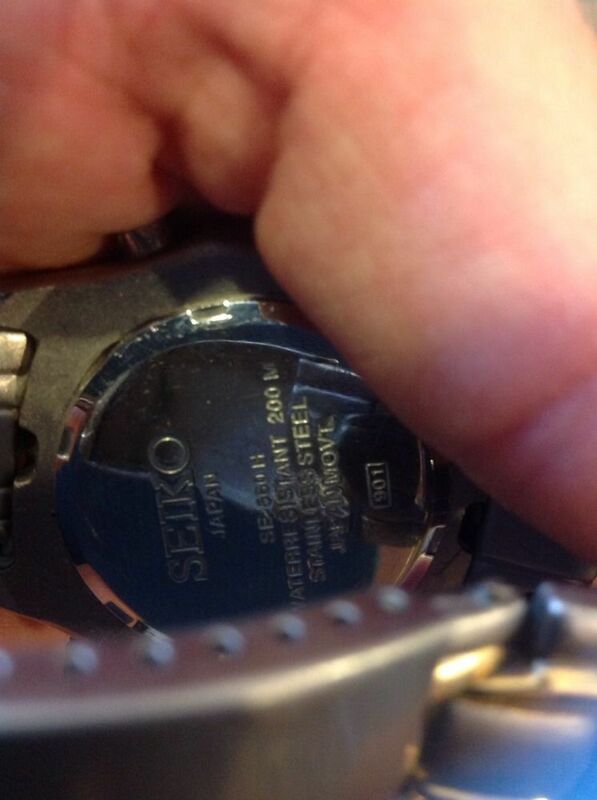 SEIKO is actually printed level on this dial (with QUARTZ underneath). But check out the non-central hands on 2 of the sub-dials ! 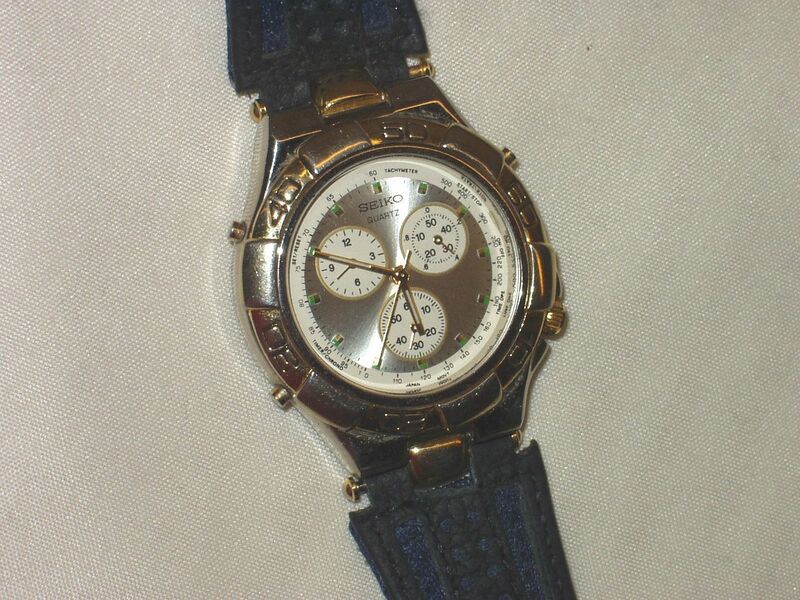 Not only is it pretty obvious (from their proximity to the sub-dial surfaces) that these chronograph hands are completely non-functional, but if you compare their positions (all the same in this seller's photos), they're fixed in almost exactly the same place as the first similar Feiko I posted, back in January. Yet from the rubbing wear / corrosion at the bases of the pusher buttons, these do appear to move. Being a slight variation of the first Feiko I flagged, the design of case and bezel are again very similar to Michael Rothe's 'Columbus'. 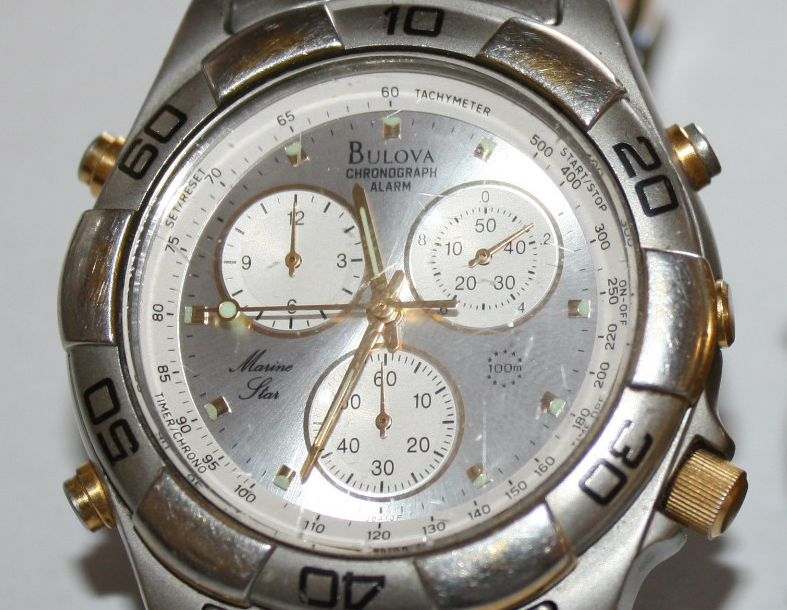 But I've since found a closer match to the fake dial - as used in the Bulova Marine Star 3530, one of which came up on eBay in April. Knowing full well that this was a Feiko (even if a period 'vintage' fake - a poor one at that) I sent the seller a message through eBay, asking him what numbers (if any) were stamped on the case-back. Purely in the interests of furthering my research you understand. Runs good and keeps perfect time. Very clean . New band (non- Seiko) installed. New battery installed. Silver tone with gold trim. Sub dials are non functional but are there for decorative purposes. Rear case cover is totally blank, no markings at all. FREE SHIPPING! I've seen 100% original copies in Thailand better than this person is trying to sell. But I was tempted by the free shipping. 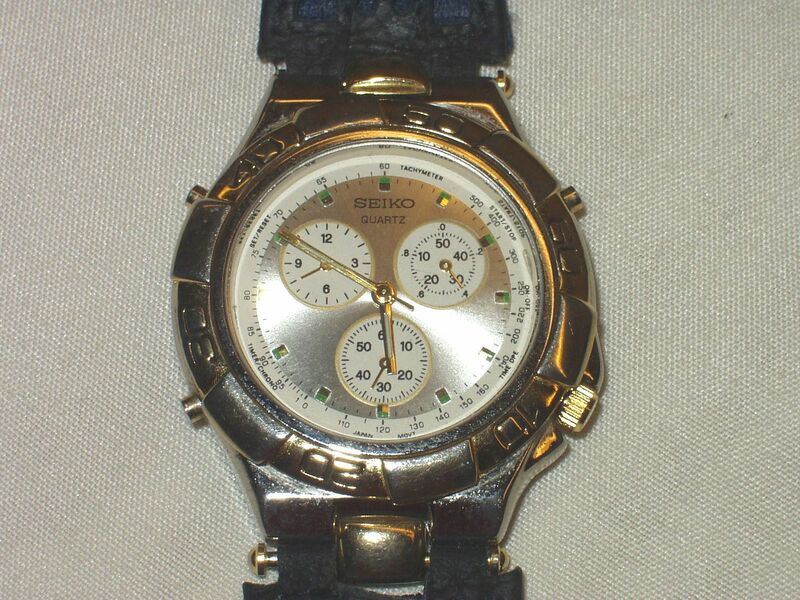 I couldn't be bothered to start another thread, especially seeing as the first 'thing' I posted was branded Seiko anyway. This came up as a 'suggestion' on eBay. Note the 4 pusher (one crown) configuration. It must be the mythical 7A32 !! But the right-hand sub-dial hand is a mile off-centre .... and the case-back engraving / stamping is clearly 'all wrong'. 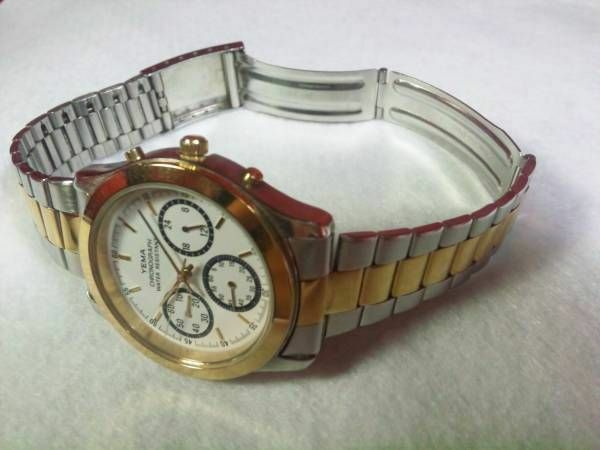 Another slightly post for this topic, but there's an amazing variety of older fakes still out there, waiting to catch the unwary. 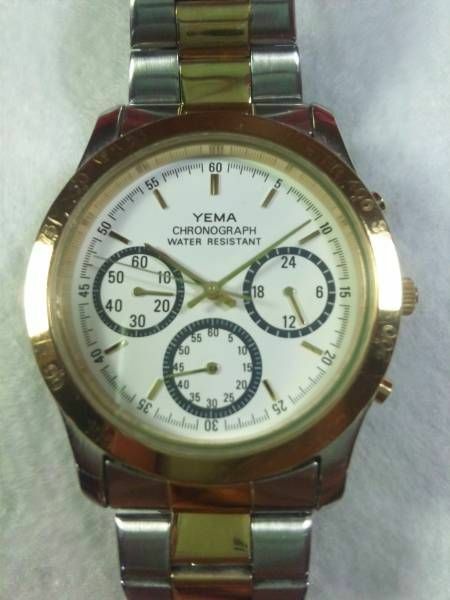 You will watch a French manufacturer, Quartz Chronograph Yema Corporation. Button and dial the dial becomes decoration, function of the chronograph is not attached. I think that it becomes very, rare type. We are currently operating normally. There is a small scratch on the belt or case, but the glass is beautiful. Magnitude of the case 3.6cm × 3.6cm to 19cm will be a maximum belt. When I got, I am heard Movement's Seiko. I hope in a no claim no return. 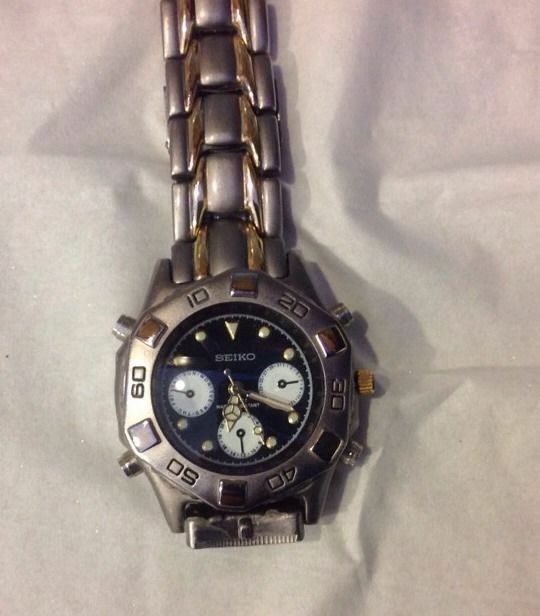 At least the non-functional chrono' hands are fitted in the centres of the sub-dials on this one. Found it a bit of a fishy one but did not bother to hit the translate button. .... Most of it is gibberish anyway. Still it was no 7A28 or 7A38 based so I did not bother! It's since been re-listed (same YJ item #). Opening bid price now reduced from 5000 to 2000 Yen. Do I hear 1000 Yen anybody ?